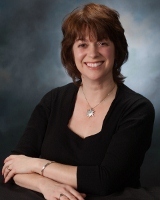 Today I would like to introduce you to a fantastic contemporary romance author I have just recently (about 2 weeks ago!) discovered. Those who followed my It's Monday, What Are You Reading posts may know I'm alluding to Kristan Higgins since I have been enthusiastically going on and on about how much I loved her novel All I Ever Wanted. Kristan' novels - besides being sweet and romantic - are always emotionally deep, heartwarming stories with wonderful real characters, laugh out loud family connections and there is always a loyal and cute pet to comfort the heroine. So if you haven't had the chance to check out Kristan's novels yet, please do, you won't regret it! who is here today to celebrate the release of her latest novel: My One and Only! Kristan: You are very welcome, and thank you so much for having me, Stella! Stella: First I would like to ask you some questions relating to your writing and especially to your latest release My One and Only. Kristan, have you ever been to Martha’s Vineyard? Harper’s descriptions were wonderful in painting the atmosphere of the place. Though I’ve never been there, I could easily picture the intimate setting of the small towns there thanks to all the small details regarding the lights, colours and scents interwoven in Harper’s impression of the town and her home. Kristan: I’ve been to MV, though only once, and alas, not in summer. I went in March 2010, and it was snowing and frigid! I went with the specific intent of researching the location for this book. It’s such a unique and beautiful place, and the setting is so vibrant and rich that it was an absolute joy to set part of the book there. We have a family place on Cape Cod, so it wasn’t a huge stretch to imagine it in summertime. Stella: In Nick’s office he gives a short virtual world tour of his buildings. There is a private museum he had built in Budapest. As a Hungarian, of course this caught my eye. Have you ever been to Budapest or why did you choose it as a city where Nick would have one of his creations? Was it maybe an existing building which inspired you? Kristan: I chose Budapest because I’m Hungarian, too! I’ve never been there, but it’s supposed to be one of the most beautiful cities in Europe, yet something of an undersung jewel. It seemed like a good fit for Nick, the up-and-coming architect, as well as a nod to the homeland of my great-grandparents. Stella: “Crotch!” is a favourite curse or turn of phrase of Harper’s. Is it an expression you use yourself or was it something you thought Harper would say a lot? Are there any other curse words/catch phrases typical to any of your other characters? Kristan: Nope! I stick with the classics, personally :-D. I figured Harper would have something a little different that still packed a bit of a punch. It does seem that my characters tend to develop their own catch phrases…crikey, or blah blah bleeping blah, or Gah! Part of their personalities, I guess. Stella: The dynamic between Nick and Harper is an unusual one: Harper despite being the girl is the commitment phobic and it is Nick, the guy, who is the emotional, “love at first sight, we’ll live happily ever after” part of their equation, despite his own childhood being less than ideal and happy. Could you tell us a bit why their dynamic works (and how this repartition of roles came to be)? Kristan: Well, I don’t know that it’s a repartitioning of roles. Most single men I know want to be happily married, and I think most women have just as many fears and doubts as men. Nick is an idealist; his own childhood made him want very much to have something perfect in his adulthood. He’s a bit naïve as to how this will come about, certainly, and he does need to learn that commitment is more than an idea—it takes action. And of course, the way Harper’s mother left clearly left a mark on her ideas of commitment and her own loveability. The reason their dynamic works, I think, is that they truly do love—and understand—each other. They just have to figure out how to take care of what they have. Kristan: I dearly love this scene! Harper sees her relationship with Dennis as rock-solid. And she does love him—in a way she thinks will last. He’s a very good guy, and Harper thinks she can shape into the man he’s meant to be (i.e., she’s a control freak). The fact that she has to work so hard to convince him shows two things—Dennis is emotionally smarter than Harper, despite outer appearances; and Harper wants a man who’s not going to throw her any curveballs. Stella: Pets always play crucial roles in your novels, being characters in their own right. The resident pet of My One and Only is Coco a Jack Russell-Chihuahua mix, displaying the characteristics of both breeds. When Coco is feeling loved and chirpy she behaves like a vivacious Jack Russel, while when she feels lonely and nervous she reverts back to a trembling, vulnerable Chihuahua. This duplicity/schizophrenia is usually present in your novels: Harper has inner dialogues with herself frequently, while Callie in All I Ever Wanted had nonstop ongoing debates between Michelle Obama and Betty Boop in her mind (which I LOVED! those discussions between Mrs. O and Betty were such a fun part of the novel, thank you!). Were these conscious decisions or how did these inner dialogues come to be? Kristan: I don’t know a Jack-Chi personally (alas). She represents Harper’s own dualing thoughts. On the one hand, Harper (and Coco) are quite a confident package; on the other, Harper’s pretty scared of true commitment and intimacy. The inner dialogue comes pretty naturally, especially in first person. For Betty Boop and the First Lady, it was very easy to pick those two. Callie is a 30-year-old from Vermont; it made sense that she’d view Mrs. Obama as the sensible, grounded voice of reason. The perfect contrast to the First Lady would be Betty Boop. Callie is aware that she’s a bit of a dope when it comes to her feelings on Love-with-a-capital L in regard to her boss, and Betty Boop jumped immediately to mind. I think inner dialogue is one way to convey honesty…my characters know their flaws and weaknesses; they’re not pretending that they have all the answers. The way they talk to themselves and do that point/counterpoint thing…it’s something I think we all do. Q: I’ve read that you “like to have a song that captures the mood of the book you are writing”. Can you tell us which are the respective songs for My One and Only and All I Ever Wanted? There are usually one or two songs that seem to hit the right note, and I play them, in full OCD mode, over and over and over. We’re talking hundreds of times! For My One and Only, it was Norah Jones’s cover of Crazy by Patsy Cline and I’m Not Supposed to Love You Anymore by Bryan White. For All I Ever Wanted, it was If I Ain’t Got You by Alicia Keyes and Vida la Vida by Coldplay. Kristan: UNTIL THERE WAS YOU is about the return of the bad-boy. Liam Murphy could once seduce with one glance…and took full advantage of the fact that women were hurling themselves at him. Now a widower, he’s trying to raise a teenage daughter who seems determined to make all the mistakes her mother did with Liam. Posey Osterhagen remembers Liam from way back when…she always thought there was more to him than his reputation, right up until he breaks her heart, though not in the way you might guess. The two of them have to find out what’s different now, and what’s still the same. This book has something new for me—the hero’s point of view, as well as the heroine’s. It just seemed to me that Liam had a lot going on that we needed to read about firsthand. And Posey is a great combination of feisty and yearning. I had a lot of fun with this book…I have a huge crush on Liam, and I really love the heroine (and her dog. And her family!). Stella: If you could have any of your characters exist as a real person, which hero would you choose to live your life with? And which heroine could be your real life best friend? Kristan: That’s a brutal question, Stella! Oh, man…I have to take the easy way out and say it would depend on my day. I love Nick’s sense of humor in MY ONE AND ONLY, but I love Callahan’s in TOO GOOD TO BE TRUE. I love Ian’s still waters (ALL I EVER WANTED ), but I love Malone’s too (CATCH OF THE DAY ). Trevor (JUST ONE OF THE GUYS) and Sam (FOOLS RUSH IN ) were so real to me, I practically expect to see them on my street. And I love Liam from UNTIL THERE WAS YOU…the bad-boy who can’t quite shed his past, but who’s trying so hard to do right by his daughter. Sigh. I guess I’ll have to take all of them. For my heroine, that one was slightly easier. I picked Chastity from JUST ONE OF THE GUYS. I kind of want to be Chastity in my next life. I love her loyalty, her physical abilities (she’s a jock), her sense of humor. You just know Chastity has your back. But in a sense, all my heroines would be my best friend, the same way in real life I have more than one best friend—my sister-in-law, best friend from high school, from college, from my town, my best writer friend. I haven’t yet written a heroine I wouldn’t love to hang out with. I wouldn’t want to. Thanks again for having me by today, Stella! Loved these questions! 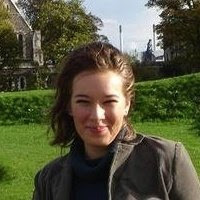 Kristan's latest novel My One and Only was released on 29 March 2011. Divorce attorney Harper James can't catch a break. Bad enough that she runs into her ex-hubby, Nick, at her sister's destination wedding, but now, by a cruel twist of fate, she's being forced to make a cross-country road trip with him. And her almost-fiancé back at home is not likely to be sympathetic. Harper can't help that Nick has come blazing back into her life in all of his frustratingly appealing, gorgeous architect glory. But in Nick's eyes, Harper's always been the one. If they can only get it right this time, forever might be waiting -- just around the bend. You can buy My One and Only at Amazon or the Kindle Store . You can find my review of All I Ever Wanted by Kristan Higgins here. 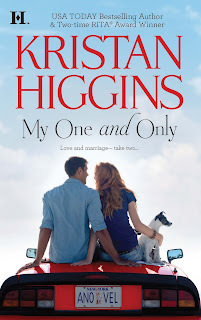 You can read my review of My One and Only by Kristan Higgins here. 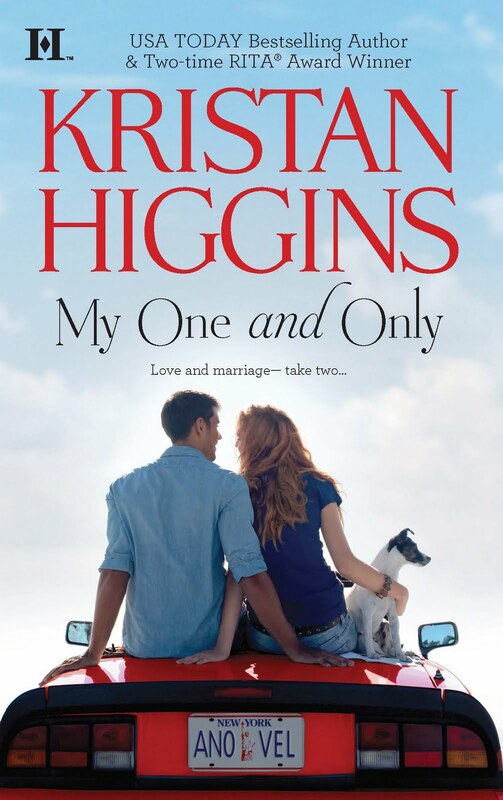 Thanks to the generosity of Little Bird Publicity one lucky commentator living in the US will win a paperback copy of My One and Only by Kristan Higgins ! Giveaway is open to residents of the US and ends on 22 April 2011.